Place olive oil, champagne vinegar, garlic, dijon mustard, salt, and pepper into a bowl and whisk until well combined. 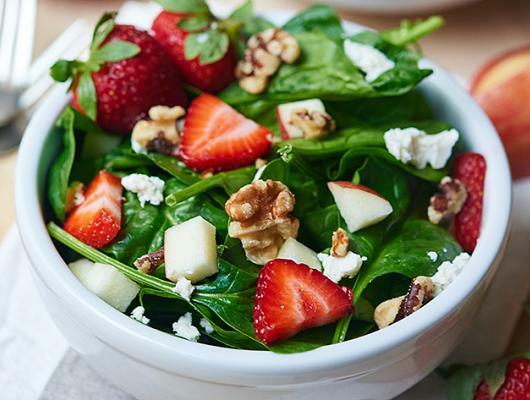 Place spinach and add in chopped apples, sliced strawberries, walnut pieces, and goat cheese. Top with dressing. A simple spinach salad full of strawberries, apples, nuts, and goat cheese and smothered in a homemade tangy champagne vinaigrette!